A good night’s sleep is as essential to the human body as is air, water, and food. However, most people skimp on sleep in order to do other activities at night. On an average, the human body requires 8 to 9 hours of sleep, but how many of us practice this? Also, each person’s sleep cycles are drastically different. So while your friend or colleague may be able to carry on through the day with just 4 or 5 hours, you may feel tired and worn out if you do the same. Also, sleep requirement can vary with the age and activity level of a person. Lack of sleep can initially feel like a small problem; but in the long run can leave you tired, irritable and unable to perform at your best during the day. Poor sleep first attacks efficiency and concentration, mainly caused due to a decline in the energy levels. Energy decline causes us to be less proactive and more prone to making mistakes. This makes situations seem more stressful and unmanageable than they already are. 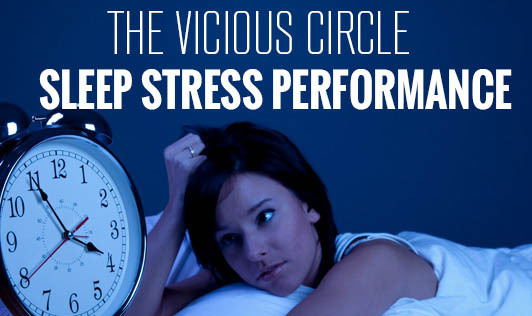 This stress in turn impairs our sleep pattern even more and soon it becomes a never-ending vicious circle. Stress is one of the root causes of insomnia. With our increasingly fast paced lives, it is important that we put in as much effort into sleeping well, as we do into working well. A change in our lifestyle is a must. Implementing small, but lasting changes into your daily schedule will help you reach your goal of simply having a good, full night’s sleep.